Life is in the telling. With its tree-lined streets, vibrant downtown and curbside planters of spring bulbs, Amberley, Massachusetts, seems a good place for Cate Saunders to start over. It's been two years since her husband, John, was killed in Iraq and life has been a struggle. Her new job as a caregiver doesn't pay much, but the locals are welcoming. In fact, Cate has barely unpacked before she's drawn--reluctantly at first--into a circle of friends. There's diner-owner Gaby, who nourishes her customers' spirits as well as their bodies; feisty Beatrice, who kept the town going when its men marched off to WWII; wise-cracking MaryLou, as formidable as Fort Knox but with the same heart of gold; and, Sheila, whose Italian grocery is the soul of the place. As Amberley reveals itself to be a town shaped by war, Cate encounters another kindred spirit--a Holocaust survivor with whom she feels a deep connection. When revelations about John's death threaten Cate's newfound peace of mind, these sisters-in-arms' stories show her an unexpected way forward. And Cate comes to understand that although we suffer loss alone, we heal by sharing our most treasured memories. Wow! Where do I start with this book? So poetically written, there is not a word out of place in this wonderful book. I laughed, I cried, I hoped and I feared; this is a book to experience not simply to read. Cate moves to Amberley to make a new start. Her husband, John, was killed in Iraq and she misses him so terribly that she wants to move somewhere where she is not constantly reminded of his loss. Cate wanders into Sheila's grocery store and is offered a room to rent above the shop, where she finds pages from an old journal. It is through finding out more about the writer of the journal, Miriam, a survivor of the Holocaust, that we see Cate starting to heal...with a little help from her new friends. Ariella Cohen has created an unforgettable cast of characters; I could quite easily see this book turned into a TV series where we could follow the lives and loves of these diverse and colourful characters. It would be hard to pick a favourite character but I have to say that I loved MaryLou, also known as Lulu, the 60 year old female mechanic; like a boiled egg she is hard on the outside and soft on the inside. As tough as she may seem, she deserves to be happy and may not be looking for love, but love is looking for her! Miriam's story was unbelievably tragic yet awe-inspiring, as it runs alongside Cate's story - both women being casualties of war in very different ways. Miriam survives the Holocaust and, believing that she is the only surviving member of her family, makes her way from Poland to America to fulfil a promise she made to her Papa. Her arrival in Amberley is not entirely coincidence but she is welcomed by the residents and makes her home there. 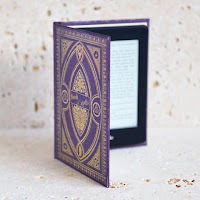 As Miriam writes her journal, that unexpectedly will prove inspirational to Cate in the future, she could never have imagined that her journal would send Cate on an emotional trip half-way round the world to Israel. Sweet Breath of Memory is a literary masterpiece - this is a book that I can see myself reading over and over again for many years to come. It drew me in from the start and it wasn't long before I felt enveloped in the warm hug of the residents of Amberley. 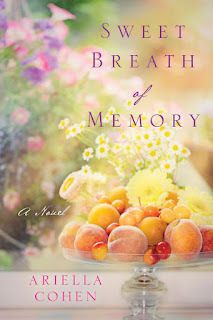 Awe-inspiring, heart-warming and inspirational, Sweet Breath of Memory is an absolutely outstanding debut from Ariella Cohen and is a book not to be missed. After my paperback copy had a mini tour of the World and arrived back on Ariella Cohen's doormat, I received this book via a NetGalley invitation from the author in exchange for an honest review.